Using the web 2.0 tool Happy Daric Lite Brite, students learn about the art technique pointillism and explore fractions and percentages! 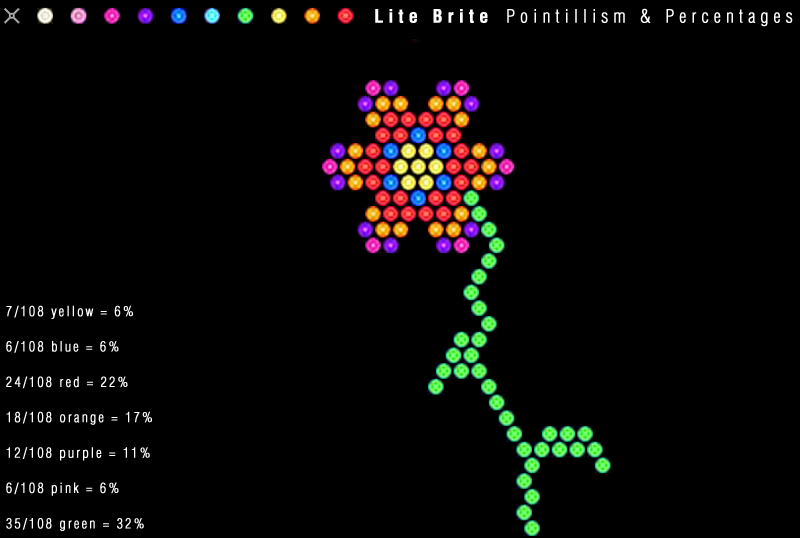 Have students create a unique design on the lite brite. While they are making their art, have them tally each time they add a color. Next, students write a fraction for each color. Then, they divide and multiply to figure out the percentage of each color they used. Students round their percentages. Then, they check their work to make sure all the colors add up to 100%.